Sen. Obama had nothing to say on the subject of abducting foreign nationals, but he–or anyway his office–had a few things to say about the Bush administration’s criminal violations of FISA. Two years into the Obama presidency, it’s interesting to reread what Obama had to say back then and to ask ourselves if his administration is doing things any differently—or indeed is merely accelerating the wholesale violations of privacy and liberty that had begun in earnest during the Bush administration. Thank you for contacting me concerning the President’s domestic surveillance program. I appreciate hearing from you. Providing any President with the flexibility necessary to fight terrorism without compromising our constitutional rights can be a delicate balance. 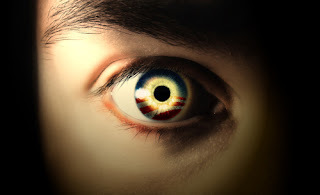 I agree that technological advances and changes in the nature of the threat our nation faces may require that the Foreign Intelligence Surveillance Act (FISA), enacted in 1978, be updated to reflect the reality of the post 9/11 world. But that does not absolve the President of the responsibility to fully brief Congress on the new security challenge and to work cooperatively with Congress to address it. As you know, Congress has been considering the issue of domestic surveillance since last year. The debate continues, but the shift in party control on Capitol Hill has clearly had an impact on this critical discussion over the balance of power in our system of government. On January 17, 2007, after conducting its wiretapping program without court approval for over 5 years, the Justice Department announced that the Foreign Intelligence Surveillance Act (FISA) court had approved its program to listen to communications between people in the U.S. and other countries if there is probable cause to believe one or the other is involved in terrorism. Then, in early February, the Justice Department announced that it would give the Intelligence and Judiciary Committees of both chambers of Congress access to previously withheld documents on the NSA program. The congressional committees with jurisdiction over this issue hailed the agreement as a step in the right direction. However, there is still significant work to be done. Just before the August recess in 2007, Congress passed hastily crafted legislation to expand the authority of the Attorney General and the Director of National Intelligence to conduct surveillance of suspected foreign terrorists without a warrant or real oversight, even if the targets are communicating with someone in the United States. This legislation was signed into law by the President on August 5, 2007, and expires after six months. As you are aware, Congress is working on reforms to the FISA bill to be enacted before the expiration of the current legislation. On November 15, 2007, the House of Representatives passed H.R. 3773, the Responsible Electronic Surveillance That is Overseen, Reviewed, and Effective Act of 2007 (RESTORE Act) by a vote of 227-189. The House bill does not provide retroactive immunity for private companies that may have participated in the illegal collection of personal information, nor does it provide immunity for Administration officials who may have acted illegally. On February 12, 2008, the Senate passed S. 2248, making its own reforms to FISA. I am disappointed that S. 2248, if signed into law, will grant an unprecedented level of immunity for telecommunications companies that cooperated with the President’s warrantless wiretapping program. I was proud to cosponsor several amendments, including the Dodd-Feingold amendment to strike the immunity provision, which would have enhanced privacy protections while maintaining the tools to fight terrorism. However, with the defeat of this amendment, telecom companies will not be held accountable even if it could be proven that they clearly and knowingly broke the law and nullified the privacy rights of Americans. I am frustrated by the President’s decision to play politics by threatening to veto any legislation not containing immunity. Why the President continues to try to hold this important legislation captive to that special interest provision defies explanation. The House and Senate must reconcile differences between the two versions of the bill before being signed into law. Thank you again for writing. Please stay in touch as this debate continues.